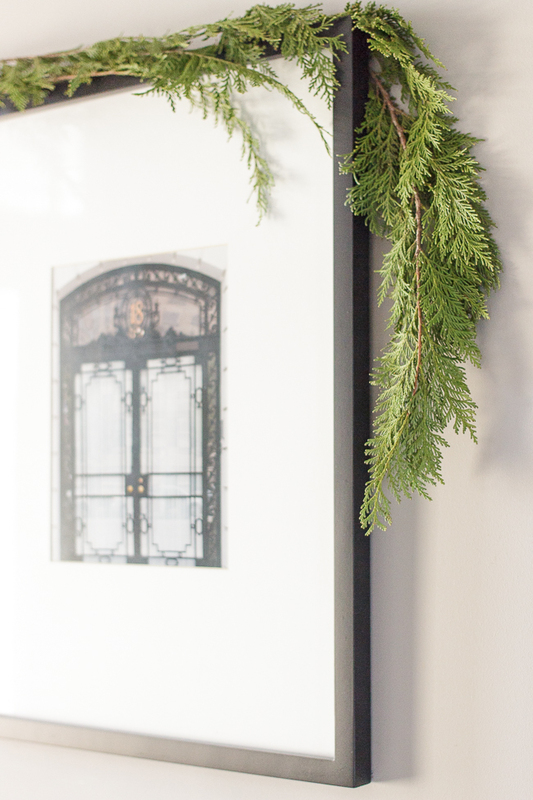 elliven studio: Decorating the Entry for the Holidays! 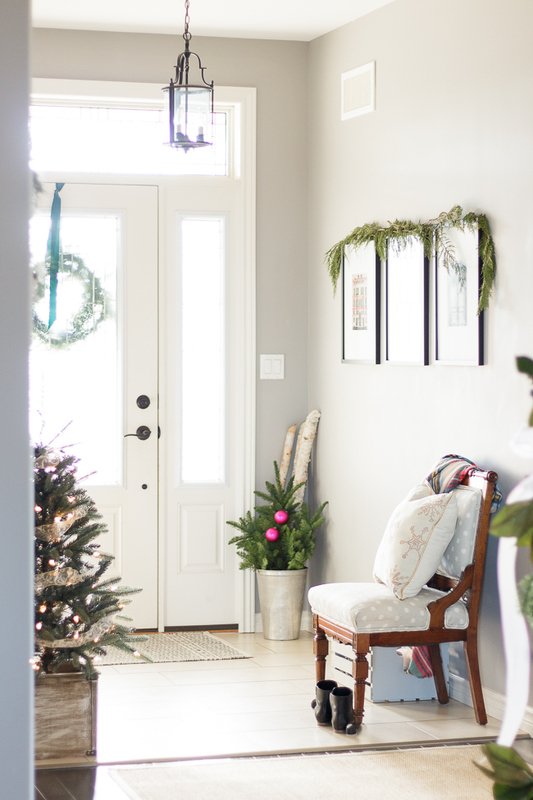 As we begin to gear up for the holidays, one space of our home that I'm paying a little extra attention to this year is the entry. 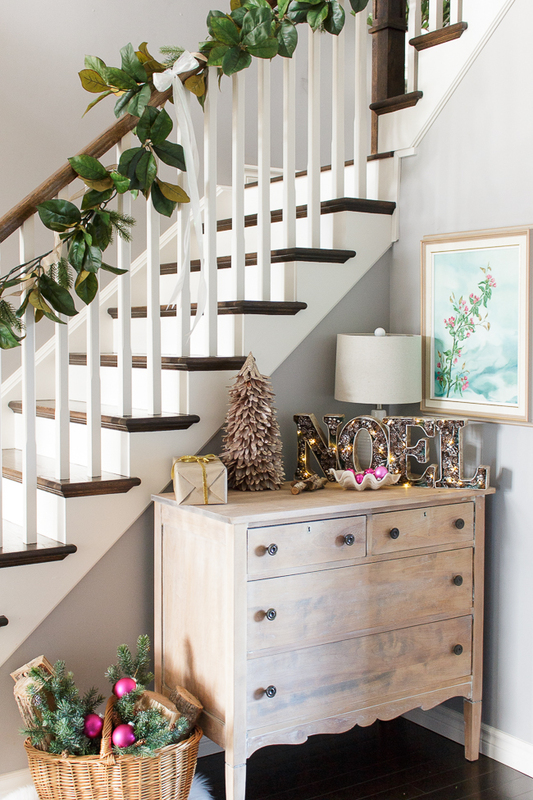 The entry is typically one of the smallest spaces in one's home and for that reason, it's often overlooked when it comes to decorating. 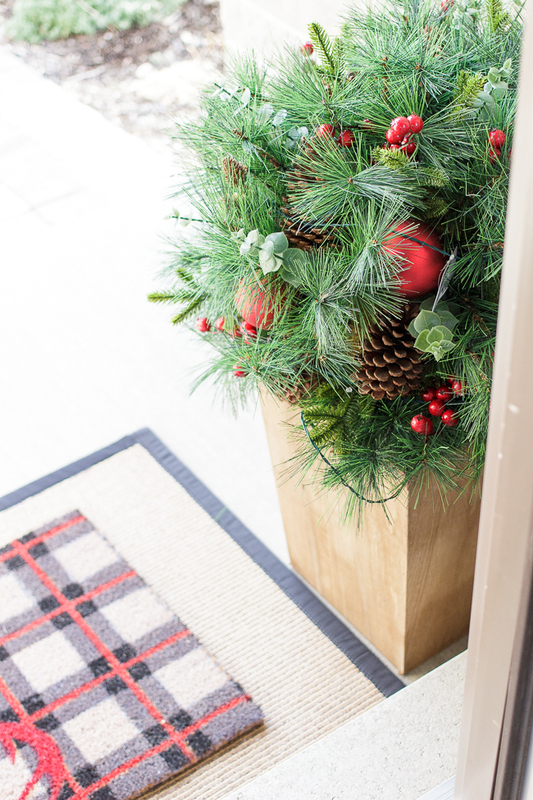 But if you consider the fact that it's the very first space that your family and friends see when they enter your home, I thought this year, I'd go big, because the entry plays a very important role on setting the tone for your home! 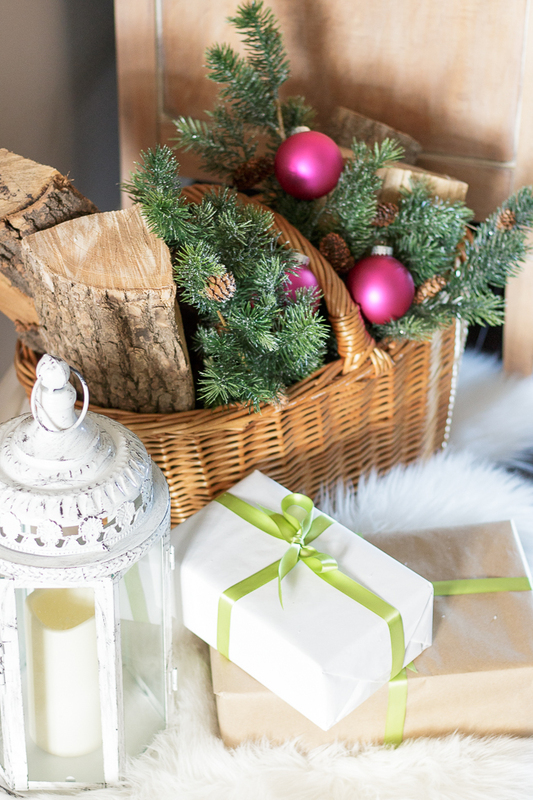 I want to ensure that our guests can't help but to be in the festive spirit from the moment they step foot in our home! It all starts with what's right outside your door. 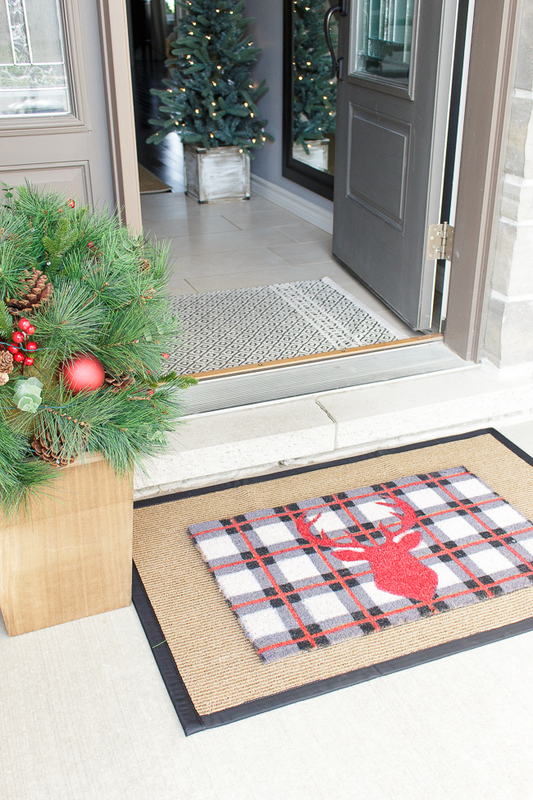 A holiday doormat layered on top of a sisal look rug creates a festive welcome. 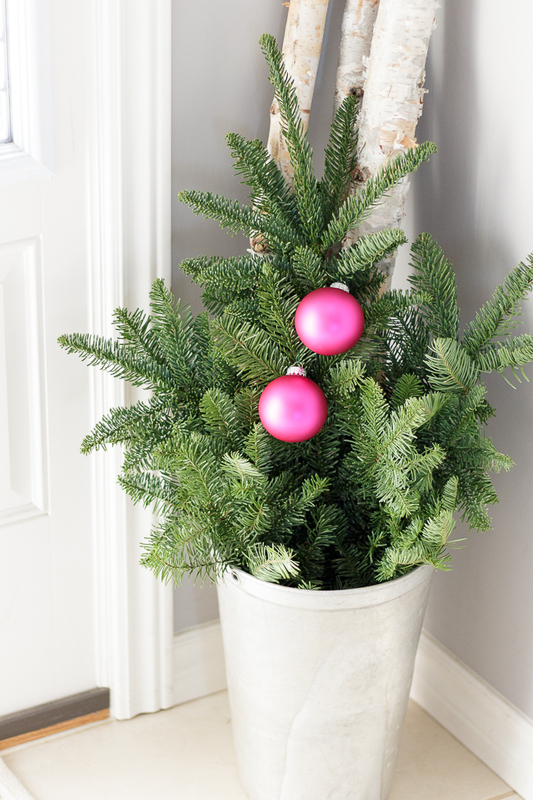 A faux potted tree with lights (bonus! It comes with a timer!) 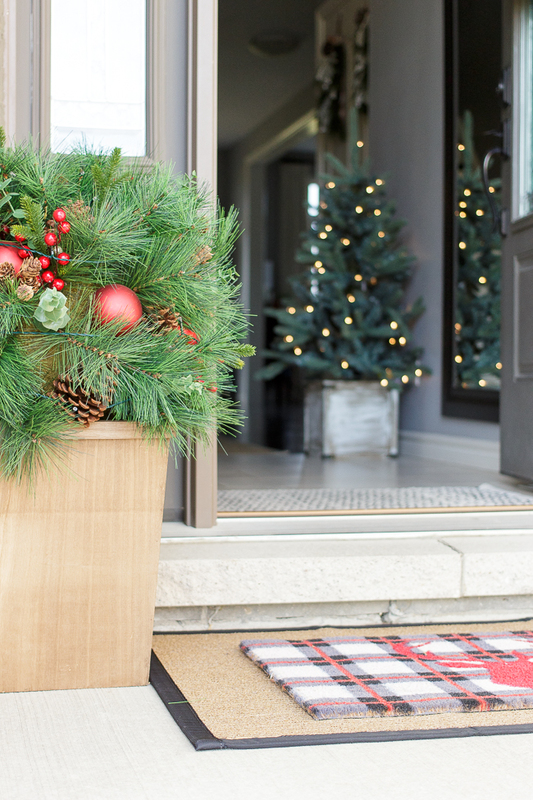 adds ambiance and texture to the front step and a wreath hanging from the door finishes off the look. 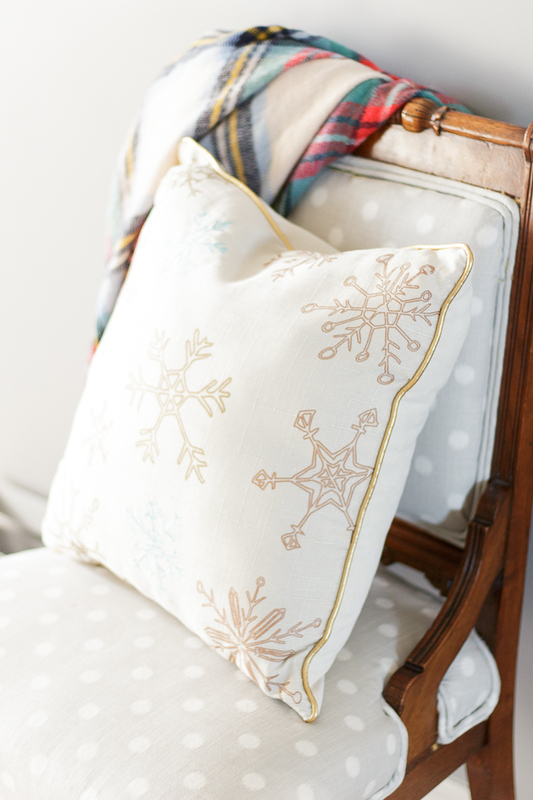 A festive throw pillow on the chair just beyond the door, creates an inviting place for people to sit while putting on, or taking off their shoes. I picked up an inexpensive wooden crate, which I painted to fit in with the entryway's colour scheme. 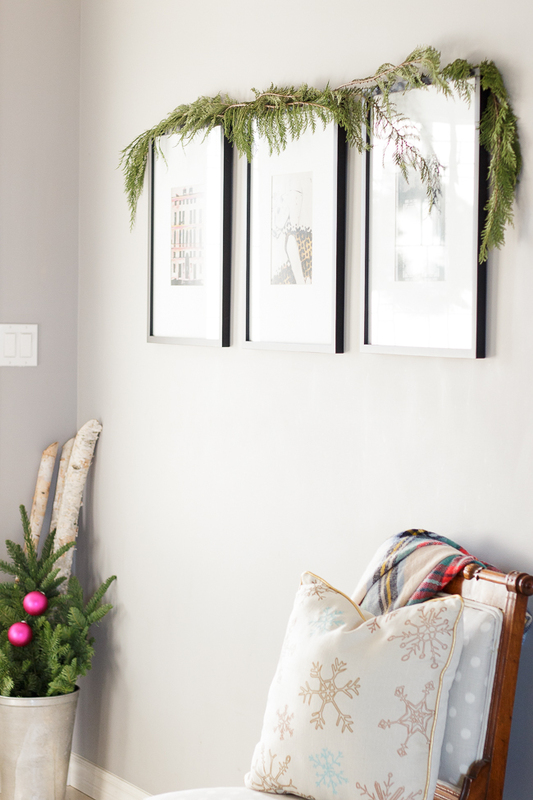 It's a great spot to store scarves, mittens and toques which your guests to help themselves to when you're getting set to go outside for a midday or after dinner walk. 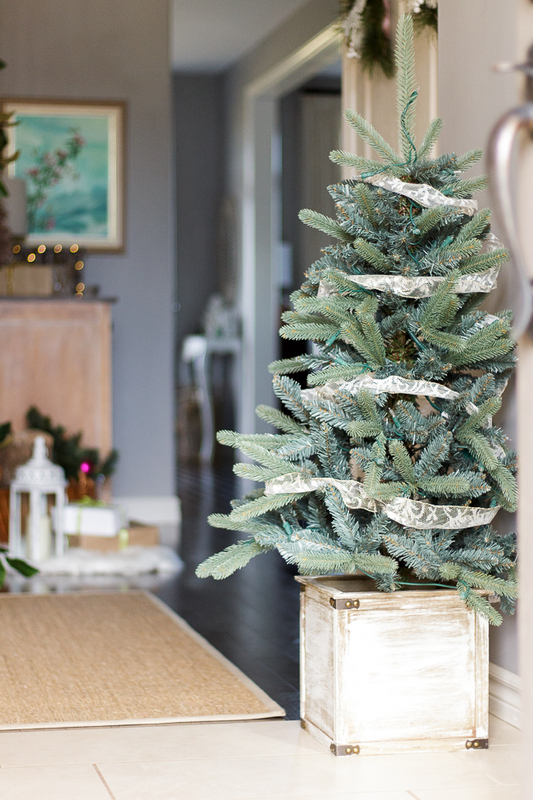 I love the idea of having a mini tree right inside the door as well as other decorative elements that have mini-lights. 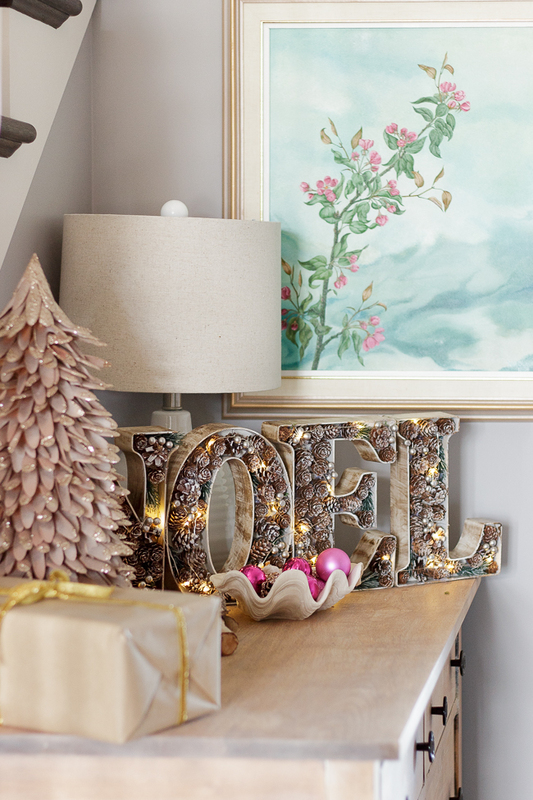 There's nothing better than these twinkling lights throughout the home once the sun goes down. 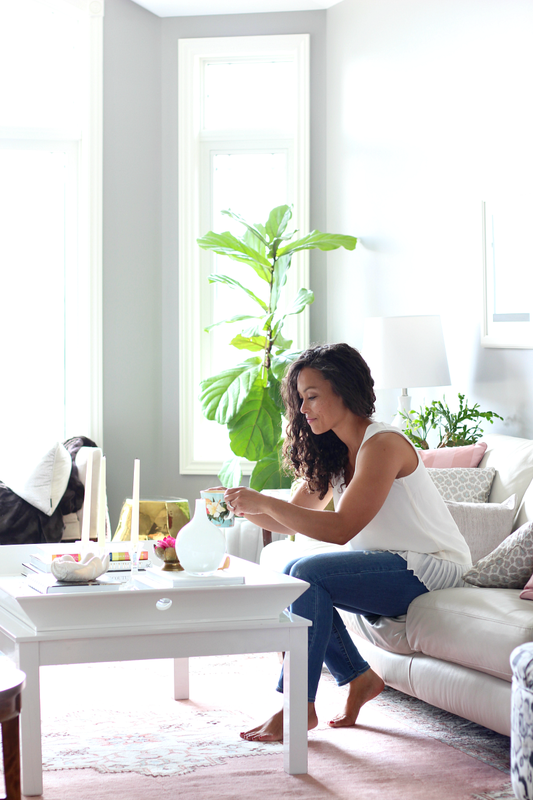 I paid close attention the colours that I chose for the entry, ensuring that they coordinated with the decor in the dining room since these two spaces are so close together. 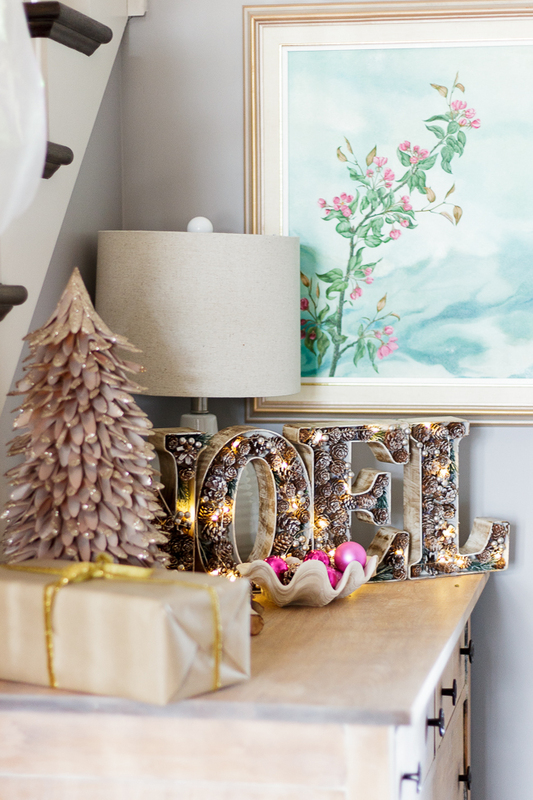 Pinks, greens and whites were the perfect colours for this year's holiday season! 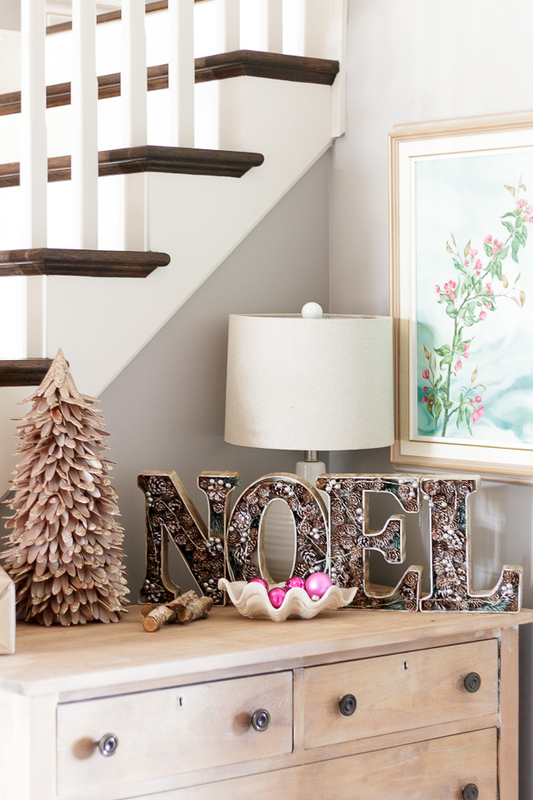 The dresser that is just beyond the entry also received a touch of the holidays! 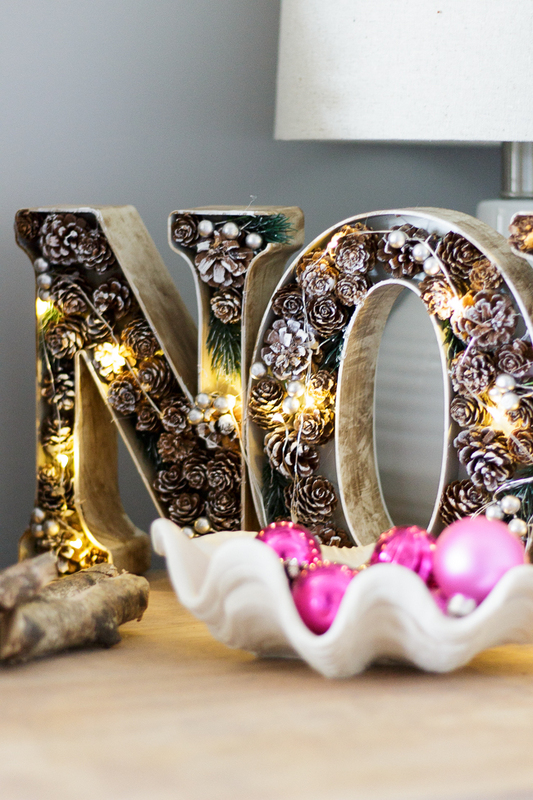 Ornaments, a shaved wood tree and a battery operated "Noel" sign made of pinecones and greenery sit neatly on the top of the dresser. 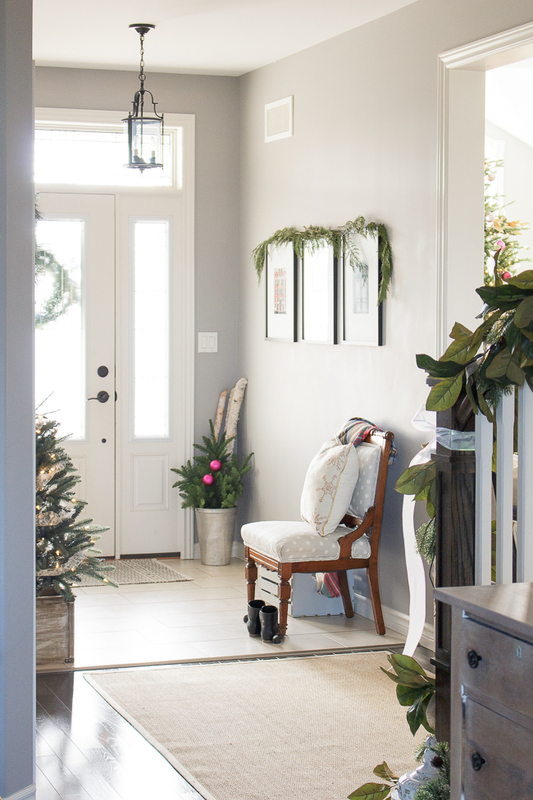 Do you typically decorate your entryway for the holidays? What is your go-to colour palette for this year? Home Depot was kind enough to sponsor this post, all opinions are my own.